Today is my birthday and I&apos;m so exited! 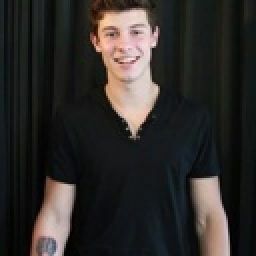 Shawn said he has a surprise for me but I seriously can&apos;t think of what it could be. I&apos;m in me and Shawn&apos;s hotel room trying to finish up an essay for humanities. (humanities is probably my favourite subject☺️) As I finished up my last sentence on the computer Shawn walked in and and said "Y/N I need you to come with me." When he said that I was exited but nervous at the same time. I have a surprise for Y/N. I told her the concert would start at 6:30 but it actually starts at 6:00. I told her that because I wanted enough time to go on stage and tell everyone that when Y/N walks on stage we all start to sing happy birthday to her and to come back and get her from the hotel. I think it would be a great birthday surprise. 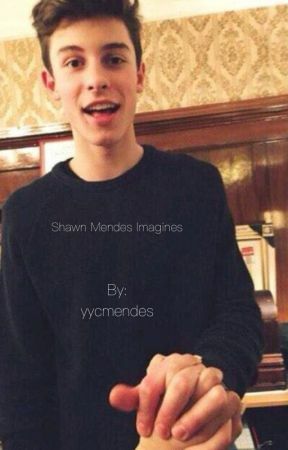 I hold Shawn&apos;s hand and walk through the hotel lobby and into the car. "So..... What&apos;s going on?" I asked trying not to smile. "I can&apos;t tell you, let&apos;s just say that this involves many people." "Heh?" I hoofed. Many people? What could that mean? As I walked backstage Shawn Said "stay here for a minute.". Shawn walk on stage and gave a thumbs into the crew, one of the crew members pushed me on stage. Right when I get on stage the whole crowed starts to sing happy birthday, I was speechless. I give a thumbs up to one of the crew members backstage, the member nods and pushes Y/N onto the stage without knowing what&apos;s going on. When she walks on the whole audience starts singing happy birthday to her, she looked so happy. The smile on her face just mad me feel like I have the one. Once we finish singing happy birthday I go in and give her the biggest hug ever. "Thank you so so so much for this, I don&apos;t even know how to thank you." She said with a big smile. "Well the night is still young, we&apos;ll see after the concert." "I love you." "Love you too Y/N, I love you too." I hope you enjoyed this, please give me more ideas for these imagines!